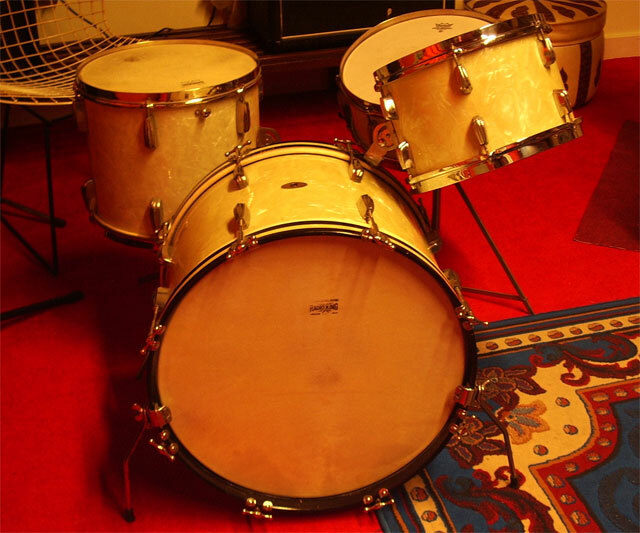 5,5 x 14 Slingerland Radio King snaredrum, 20 inch bassdrum (very rare), 12" small tom, and 12 x 14" tomtom in a cradle. 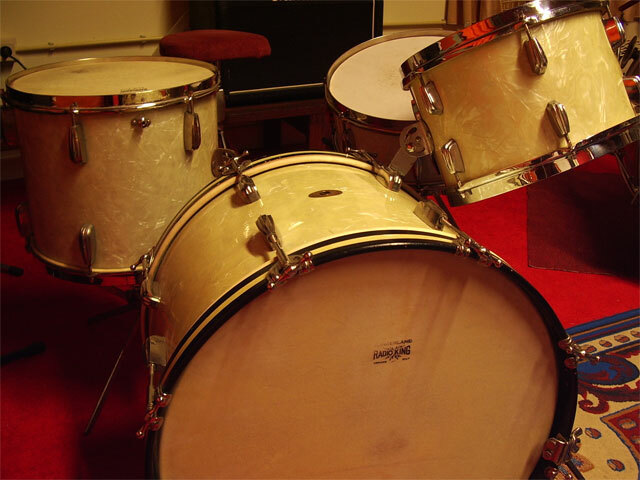 The 20 inch bassdrum is 'virgin': no mounts. 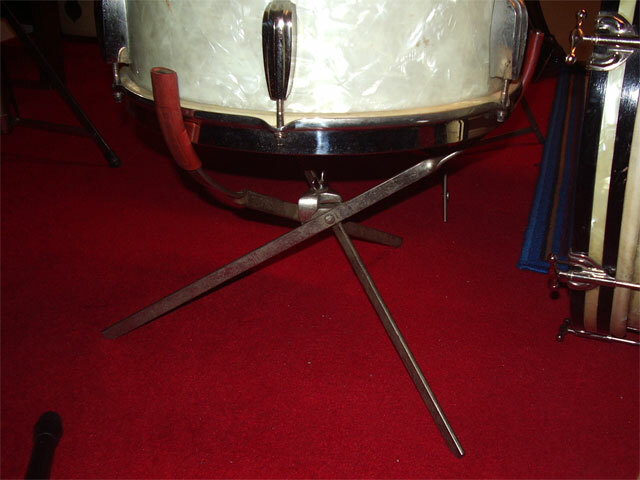 Hoopmount spurs included. 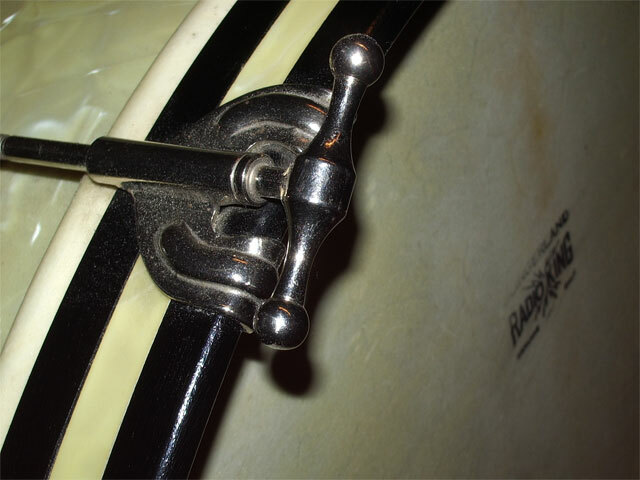 Both tomtoms have Radio King engraved stickchopper hoops, original calfskin heads and mahagony shells with maple reinforcement hoops for that Radio King tomtom sound. 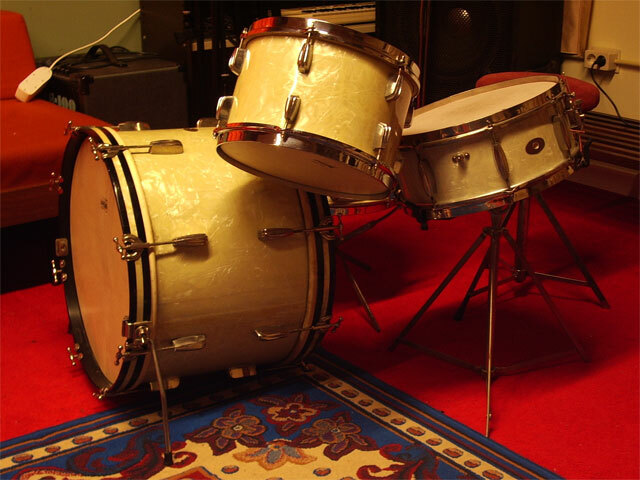 The toms both have hoopmounts, the cradle for the floortom is included. 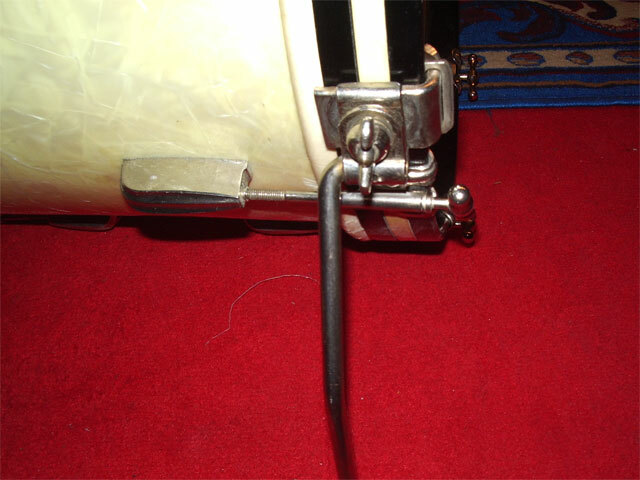 The cradle works great but the small tom would be better on a snarestand for safety reasons and positioning. The white marine pearl is evenly faded and is nice and tight. The wrap on the FT is a little whiter. 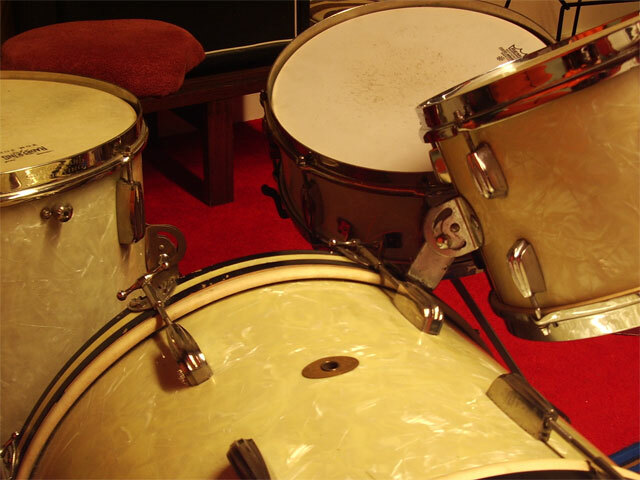 All drums match nicely in looks and sound big and warm. 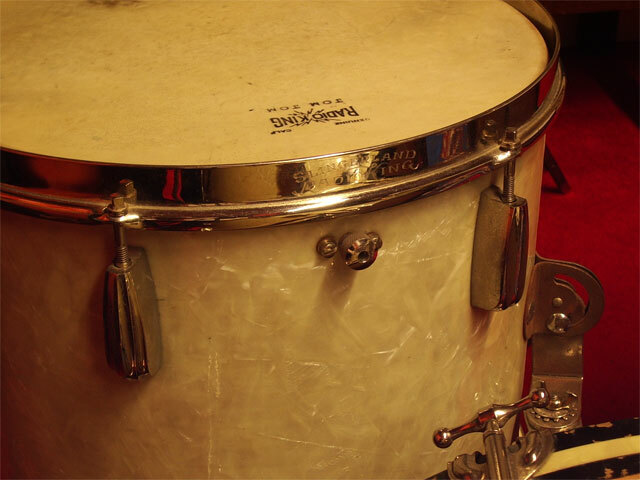 All heads are Radio King calfskin heads in nice condition and sound great.